I welcome custom orders! For that special item you may want for your dollhouse, roombox or for your actual home, such as a miniature painting or Christmas ornament, I would like to create it for you! Prices for miniatures and miniature paintings will vary, depending on the detail and size of the item. Once you let me know what you have in mind, I can give you a price. 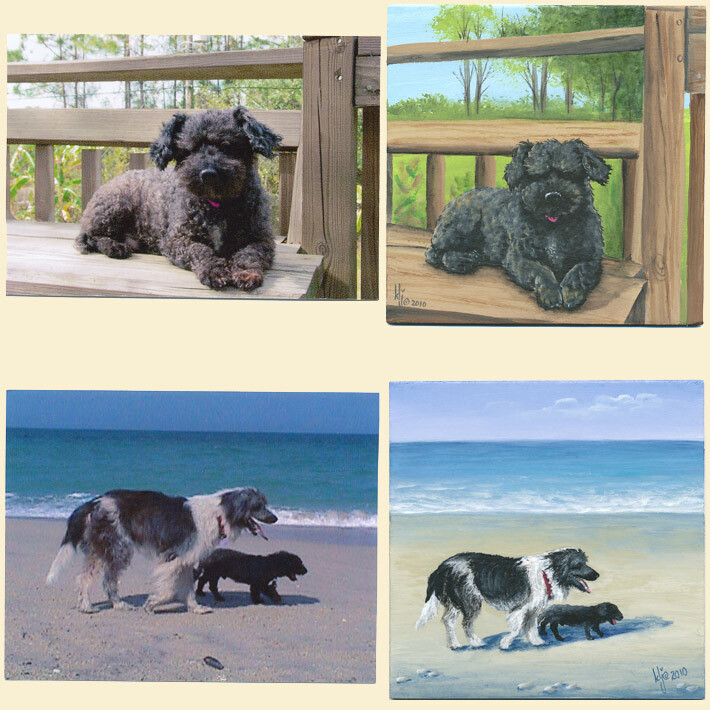 I work from photos when creating your house or pet portraits. I can create a portrait of your pet; pricing depends on the size and detail involved. Please contact me with any questions regarding an order. I will get back to you as soon as possible. THANK YOU SO MUCH! and have a great day!